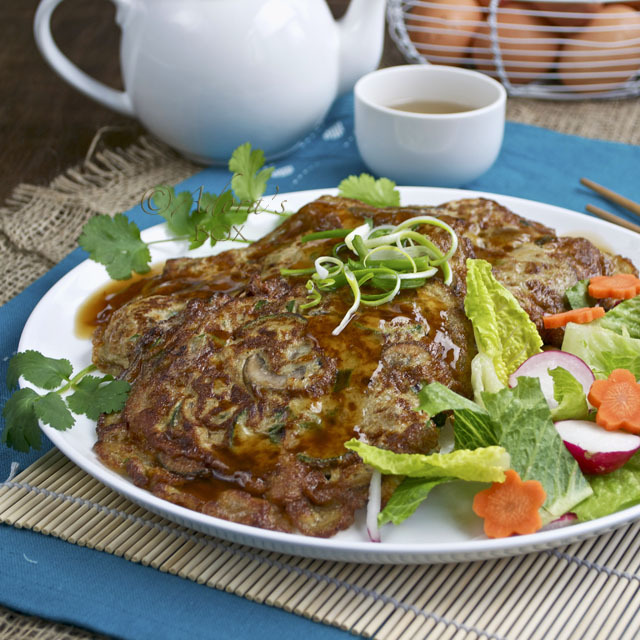 Egg foo yung is the Chinese counterpart of the omelette. 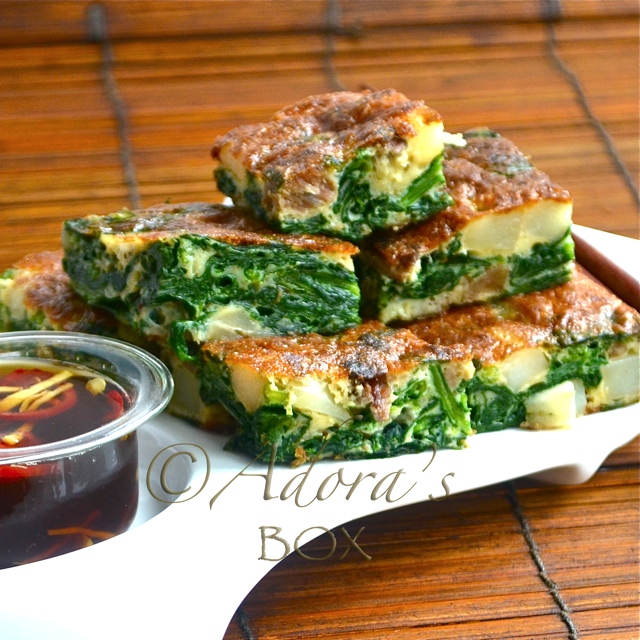 Unlike the Western omelette which is usually eaten at breakfast, it is eaten with rice at lunch or dinner. It is very different from a normal omelette in many ways. First of all the filling is sauteed first before mixing in with the eggs. 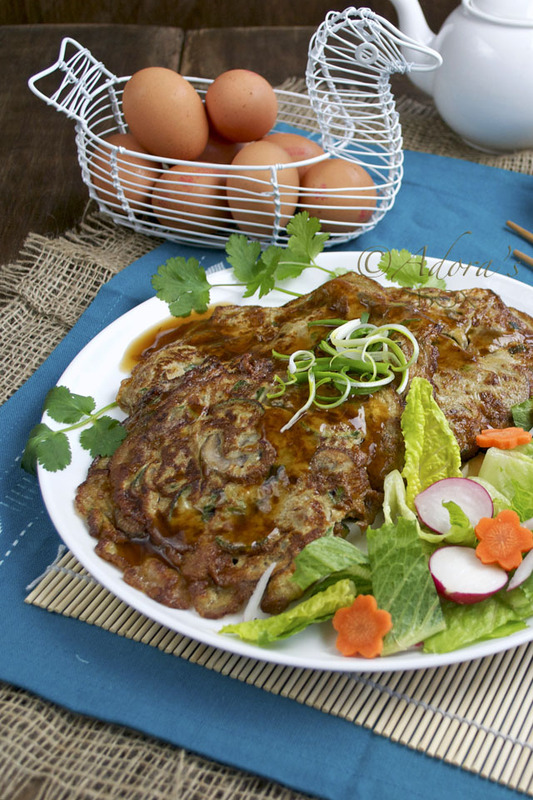 It is then pan fried at a higher heat than is normally used for cooking eggs. That results to a browner colour, a toastier taste and firmer texture. It also has a sauce that makes it perfect for eating with rice. 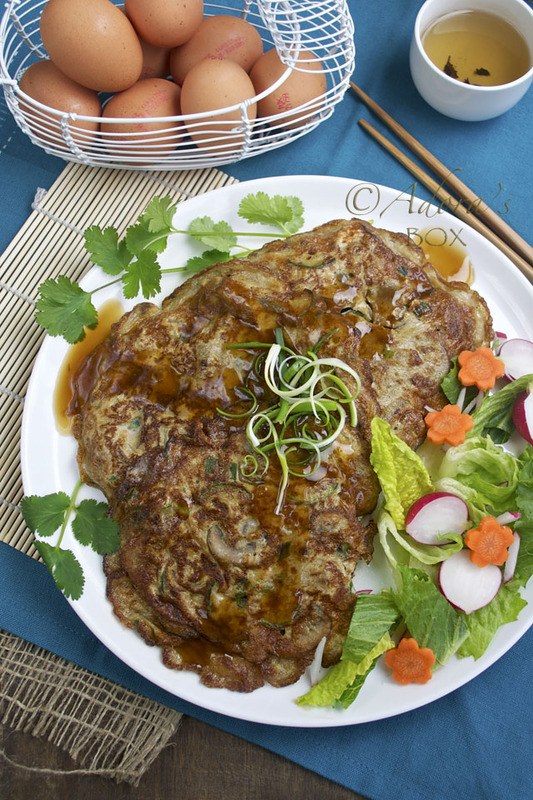 My first memories of egg foo yung is as a Chinese restaurant takeaway. We loved buying it from our local panciteria (noodle shop/restaurant). Its aroma is still firmly etched in my mind. Even now, I still relish that first mouthful. 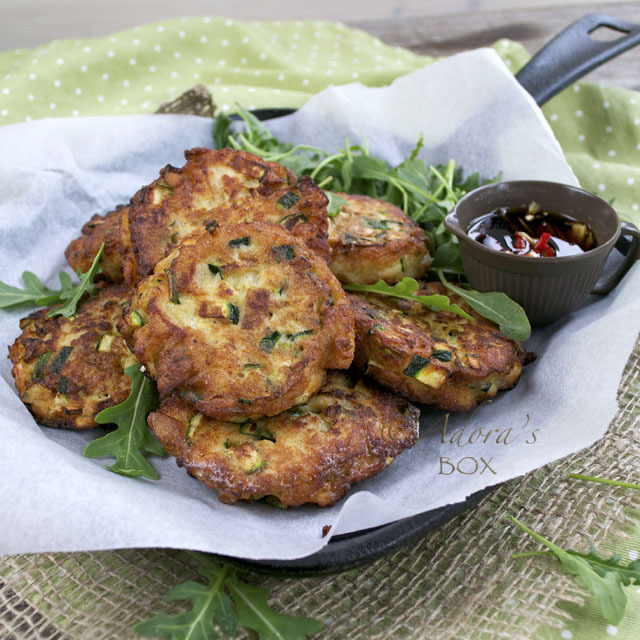 Simple but delicious dishes like these never go out of fashion. It is a simple dish but it has lots of flavour. 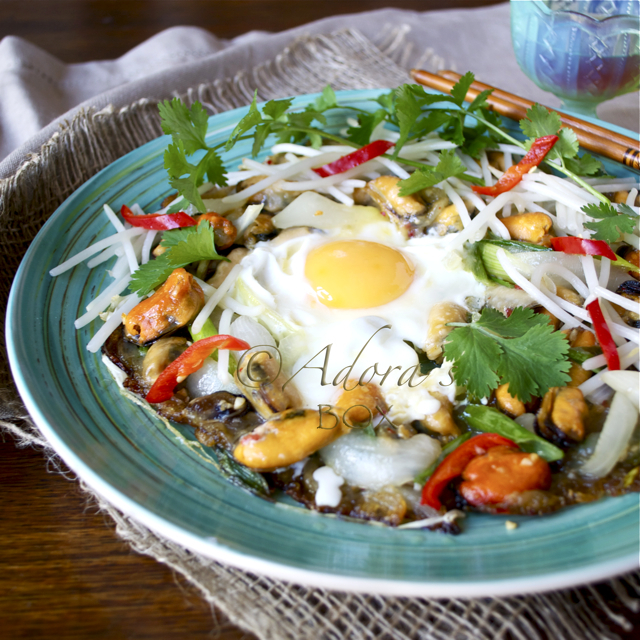 The ingredients can be varied so it is a good dish to have at the end of the week when you need to clear up the fridge before doing the shopping. This version is meat free and is perfect for meatless Fridays this Lenten season. Heat up a wok and add the cooking oil. Stir fry the garlic for 1 minute. Add the courgettes, mushrooms and oyster sauce and stir fry for 3 minutes. Take off the heat. Add the prawns and spring onions and stir. Beat the eggs in a mixing bowl. Add the stir fried mixture and blend. Heat up a small frying pan. Add enough oil to cover the bottom. Add a heaping 1/2 c. measure of the egg mixture and fry on medium high heat, covered. Fry each side for 2 minutes or until evenly browned. Transfer to a plate and cook the rest of the mixture. This will make 4-5 omellettes. Prepare the sauce. Mix all of the ingredients in a sauce pan. Cook on medium heat while stirring constantly until thick. Pour over the omelettes. This looks lovely. I've never made it myself. So happy I now know how. Your food always looks so bright and fresh. We never made the sauce in my house growing up, but the sauce is a must for Joe, so thanks for sharing! I love foo-yung. Shrimp and chestnuts are both great additions.